Welcome to the Web Home of russell remington. Wipe your feet on the digital doormat and come on in! Hi there, thanks for visiting! I guess even introverts need a web presence in this day and age so here I am! 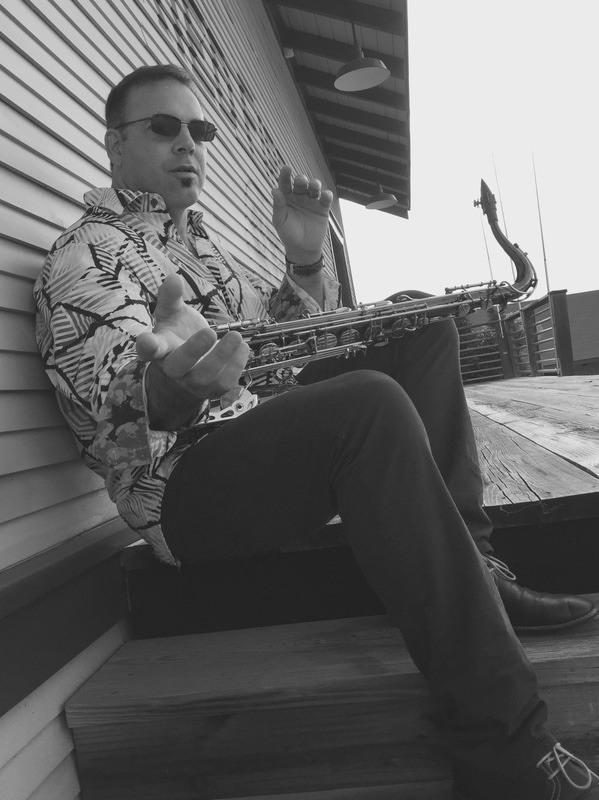 I've been playing saxophone professionally for 34 years, and have had the privilege to share the stage with many great musicians over the course of my career including: Phish, Carlos Santana, The Trey Anastasio Band, Twiddle, Pink Talking Fish, The One O' Clock Lab Band, James Polk, A live One, The Sneakers Jazz Band, Kilimanjaro, The Glenn Rexache Group and Beto Y Los Fairlanes. 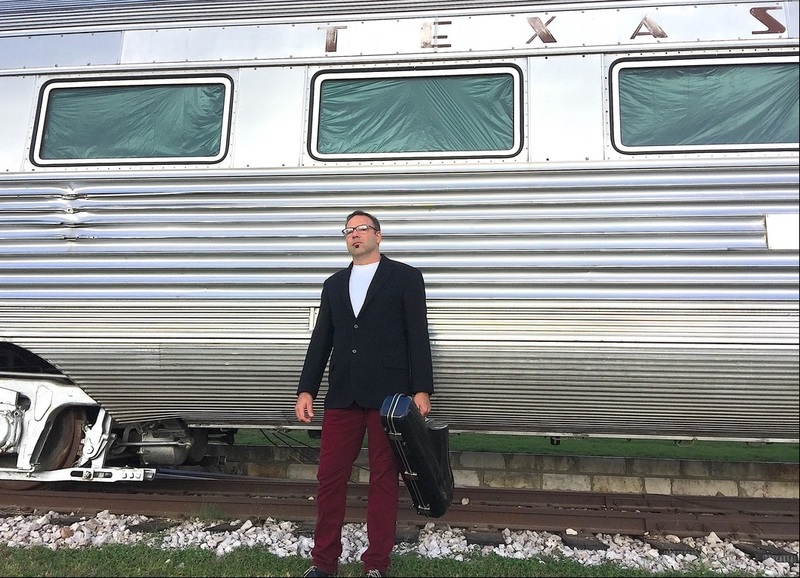 I have also had the good fortune to play such venues and shows as Madison Square Garden, Bonaroo, Austin City Limits, The Tonight show, The Carson Daley Show and Late Night with David Letterman. 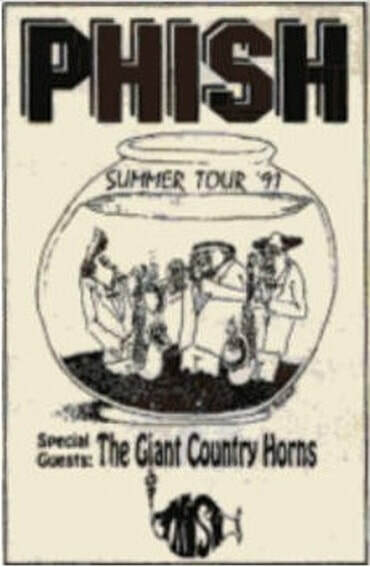 I'm an original member of "The Giant Country Horns" of Phish renown. I have recorded albums with Phish, The Trey Anastasio Band, James Polk, Beto and the Fairlanes, Pamela Hart, Millennium Swing and The One O' Clock Lab Band. I have also played on many sound tracks, demos and commercials as well. 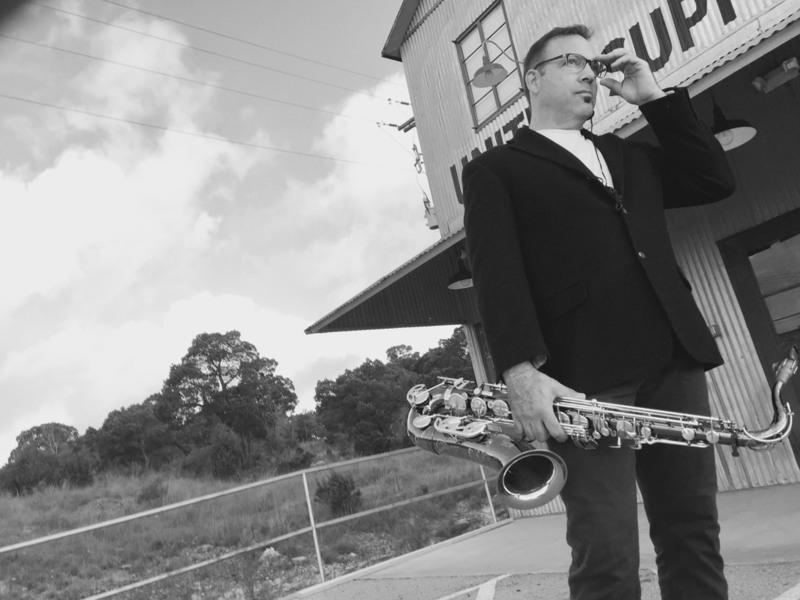 I play tenor and soprano saxophones, flute, keyboards, electronic wind synthesizer, and can sing background vocals. I'm always open to exploring new musical pathways and the resultant sonic palettes which accompany them. I love music. I love to learn it, play it and teach it! Giant Country Horns Arrowhead Ranch circa 1991. 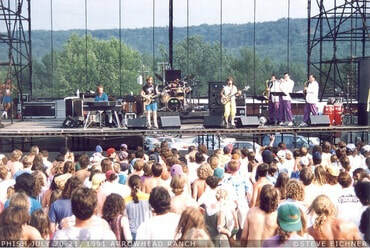 Phish's first tour with a horn section! The name Giant Country actually came from a brand of white bread popular at the time. Not sure how to take that! The pink and purple tuxes were Page's (keyboards) brainchild. Uh...Thanks Page. With Trey Anastasio Band circa 2013. That's Jennifer Hartswick on trumpet and Natalie Cressman on trombone. These ladies are incredibly gifted and it was an honor to play next to them every gig!! With Trey Anastasio Band circa 2010. Greek Theater in L.A. Left to right: Jennifer Hartswick, Andy Morose, Dave Grippo, Me. Played the Jay Leno show with Trey. Jay Leno is a car nut ( so am I ) and he often drives a vehicle which he is in the process of restoring to work. I love the combination of wooden seat with set belts attached. Best to drive defensively in this case. Jamming with Trey Anastsio. Every single night we played was an excellent one. Never seemed to have a mediocre show!!!! Trey's unique style of conducting! Not something you can be taught!